Where should I have Christmas Dinner in Boston? If you find yourself traveling to Boston this holiday season, you might be looking for the perfect Christmas Eve or Christmas Day dinner. Whether your a guest of our New England Bed & Breakfast, visiting family or friends, or hosting guests from out of town, there are several restaurants sure to delight you with their Christmas menus. L’Espalier in Boston’s historic Back Bay, is offering a Christmas Even pre-fix lunch and dinner. L’Espalier offers a modern approach to French Cuisine with New England influences found throughout their menu. 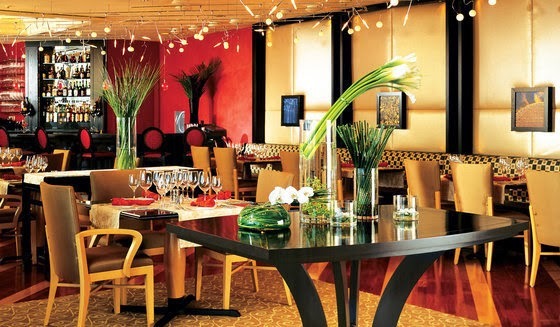 A five course lunch is being offered for $80 per person and a six course dinner is being offered for $130 per person. They also feature a vegetarian pre-fix option for both lunch and dinner. 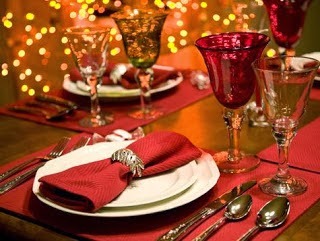 Meritage will be featuring a pre-fix Christmas Day dinner from 5:00pm -9:00pm. Make sure to look at the wine list, Meritage’s cellar is hard to top! If you are looking for lunch on Christmas day, The Atlantic Room, nearby , will be serving a buffet from 10:30am – 3:30pm. The Fireplace in Brookline is offering both Christmas Eve and Christmas Day lunch and dinner. Christmas day will feature a special menu with some of their classic New England dishes as well as holiday favorites. 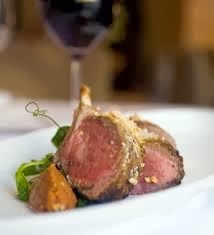 The pan seared foie gras and rosemary encrusted rack of lamb should not be missed. Christmas Eve hours are 5:00pm – 10:00pm and Christmas Day hours are 11:00am – 9:00pm. Clarendon Square recommend making reservations for both Christmas Eve and Christmas Day. As always, we are happy to arrange reservations and special outings for our guests. Happy Holidays from everyone at Clarendon Square Bed and Breakfast!